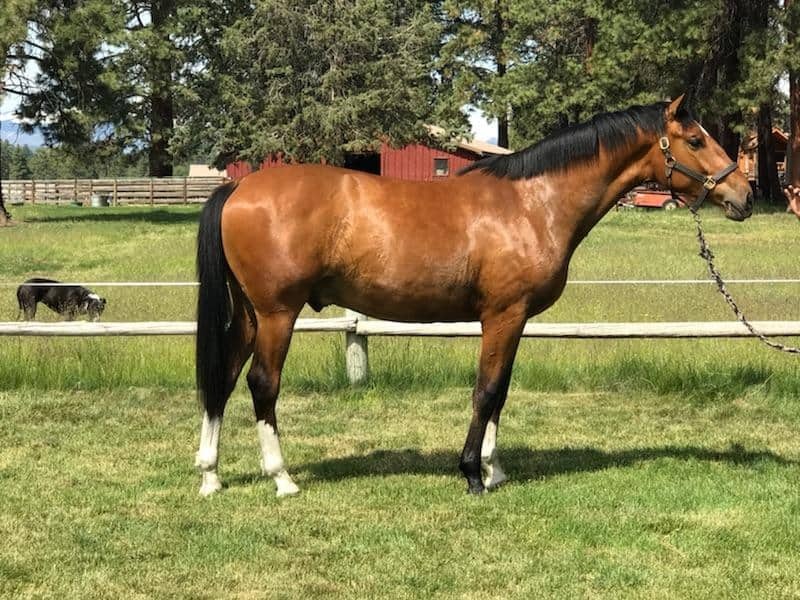 An eye-catching two-year-old gelding with a big motor and a charming, sweet personality. He has three, big, ground covering gaits and will make a great dressage partner. Luminaire had been raised in a herd on a big farm with plenty of room to grow. He’s good for the vet and farrier. He’s regularly brought in to be groomed and loves the vacuum!